Sashikala Nisankarao is a licensed attorney in the State of Texas. She currently works as a Legal Specialist at the Southwest ADA Center, providing technical assistance and training to consumers in Region VI. In the past, Sashi has provided legal assistance at Lone Star Legal Aid, as well as litigation work at the City of Houston Legal Department. Having joined the ILRU in October 2017, she is the newest member of the Southwest ADA Center team. 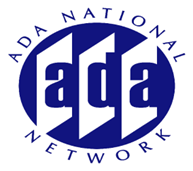 03/20/2019 - What is a Public Accommodation under the ADA?